Andy: What was the first Convention you remember going to? What was your reason for attending? What was a lasting memory for that convention? First Person Shooter: My first convention was in the very early 1980s, a Creation convention in Boston. It was mostly a science fiction con, but had element of all sorts of nerd interests. I wanted to go because I had never been to one before, and basically for the same reason I go to cons now — I am a nerd. My strongest memory ties right in to my love of csotuming and cosplay. I was sitting on an aisle seat for the costume contest, and the crowd behind me started going wild. I turned just in time to see a nine-foot tall alien in purple and green walking right by me, with dinner-plate sized hands that were fully functional. I was absolutely floored and thrilled. Andy: When was the first time you picked up a camera? What was your first picture? FPS: I don’t recall, but the first camera that was mine was an old Argus C3 “Brick” I got as a freshman in high school. I can’t even begin to recall what my first shot with it was — that was almost 40 years ago mind you. Probably our dog. The first one I remember being really pleased with was a picture of a young lady in my church youth group, in her bikini while we were on a field trip to a mountain swimming hole. Doing glamour shots even then. Andy: What do you think a Camera provides art wise that a painting does not? FPS: This question is way too deep for me. I am not an artist, I am a semi-talented hack with a camera. Uh, realism brings more immediacy and makes the subjects more identifiable and relatable to the viewer? Andy What made you start taking photos of cosplayers? FPS:I brought my camera to Anime Boston in 2008 to take a picture of MC Frontalot for an interview I was doing with him. Of course I saw hundreds of cosplayers as I made my way to the ballroom where the concert was going to be held, and I was blown away by the talent and creativity, fascinated by the skimpiness of some of the costumes, and fanboyed over the few characters. I knew that had been brought to life (at that point, probably just Cowboy BeBop — I wasn’t well versed in anime at the time). One note about the skimpiness — while it was thrilling to see, I probably spent the longest time (close to a half hour) talking to a women in a full-on Amaterasu cosplay, completely covered in a gorgeous kimono with a golden metal sash (handmade) around her waist, wearing at least six-inch high getas on her feet. Craftsmanship gets me really jazzed, skimpiness is just fun. 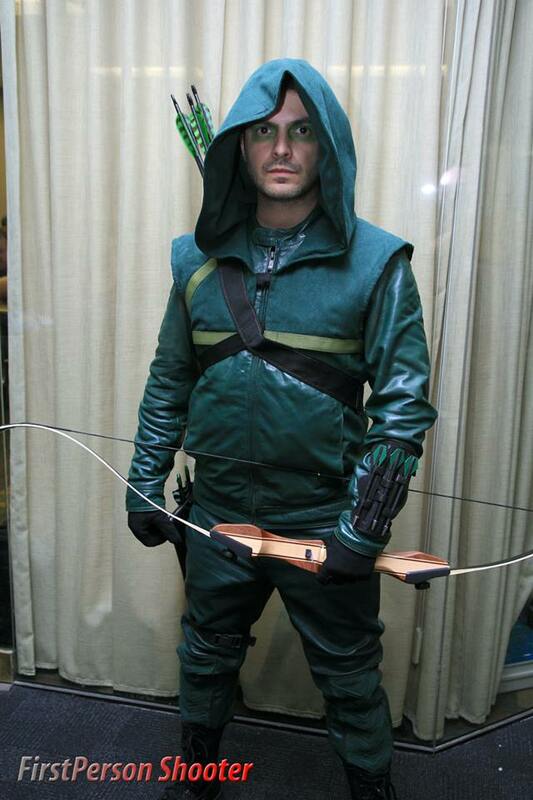 Andy: You’ve worked with a lot of cosplayers who has been your favorite? FPS: That is a loaded question, but I will answer it in a way that will probably suprise no one. Nicole Marie Jean is a good friend, an incredible talent, gorgeous of course, and there is absolutely zero pretense or artifice in that lady. She has what I think is the healthiest ego I have ever run across, meaning she is very confident in what she can do well, but has no problem doing something that makes her look like a complete doofus or doing a pose that is dumb as a box of rocks. For guys, that question is even harder, because there are so many that are so good that don’t get the kind of recognition they deserve. Jim Jwanowski (Boston’s Deadpool) and Macdaniel Macleod (Mr. TUSA) both embody their characters like nobody else can. Thomas DePetrillo (Bumblebee) and Bill Doran (Punished Props) are both equally amazing craftsmen and cosplayers — gah, too many to list. 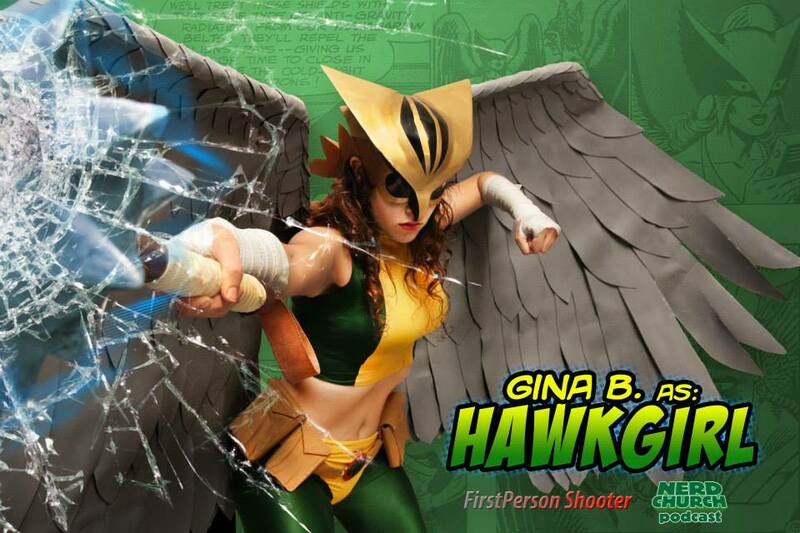 Andy: My favorite of your photograph sets is Gina B.’s Hawkgirl cosplay, what was your thinking going into that shoot? What do you try to capture when taking a cosplayers picture? FPS: If you mean the very recent one with the cracked lens, I had no thinking going into that other than I want to get the exact image Gina wants. That was an idea she had, and I was very lucky that she wanted me to take the base image. But the real creativity there came from the post-processing, done by the folks at The Nerd Church Podcast. For most shots, what I am trying to capture is the costume and the cosplayer in both as artisitic a light as I can, while still showing off the amazing work the cosplayer has done. So I rarely do cinematic-style action shots or extreme close-ups, unless the cosplayer specifically wants them. 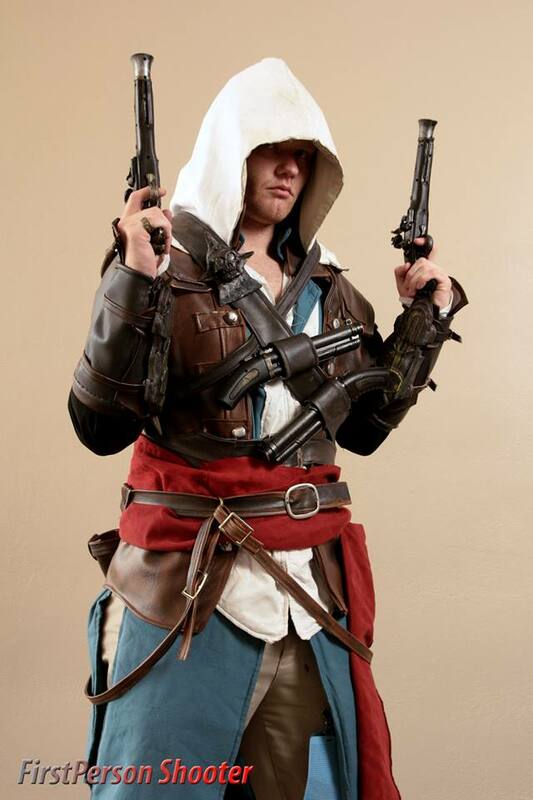 I am a journalist by trade and want to record the cosplay in as much detail as possible. 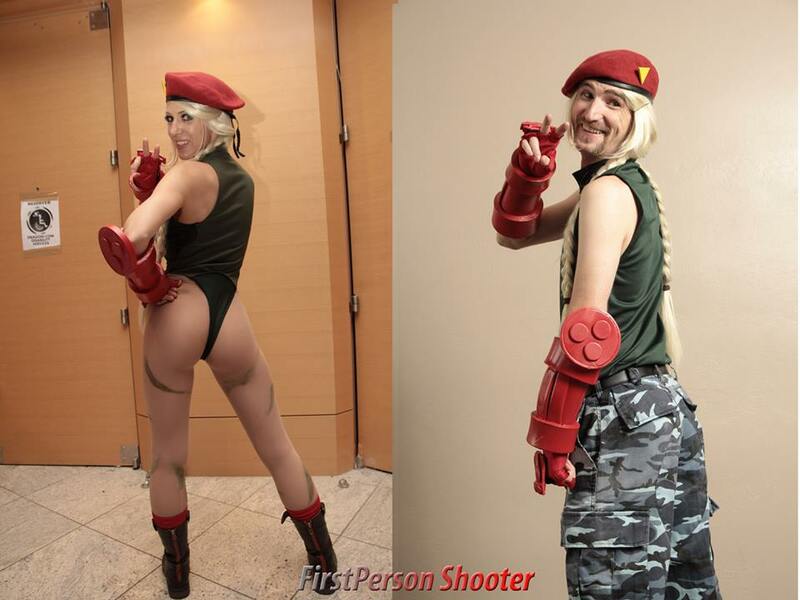 Andy: A lot of cosplayers are now signing contracts with Professional Photographers to get their photograph taken, what is your opinion of this? Should there be an age limit to this? What is your advice to these cosplayers? FPS: I am not sure “contracts” is the right term — some cosplayers are paying pro photographers for shots, and they need to sign a model reelase, which defines the usage rights. But as far as that goes I have no problem. They would pay a pro for a business headshot, or an event shoot, or a wedding, so why not pay for pro-level shots of their cosplay? As to age limits, if the cosplayer is underage, a legal guardian would have to sign the model release, otherwise everything else is still OK. My advice to the cosplayers looking to get such shots is, check the work of the photogrpaher and the price. If you like both, do it. If you don’t, keep looking until you do. Andy: You are also a professional news editor, how does that compare to your photography hobby? FPS: It reflects how I approach my shots — detail and accuracy first, art second. 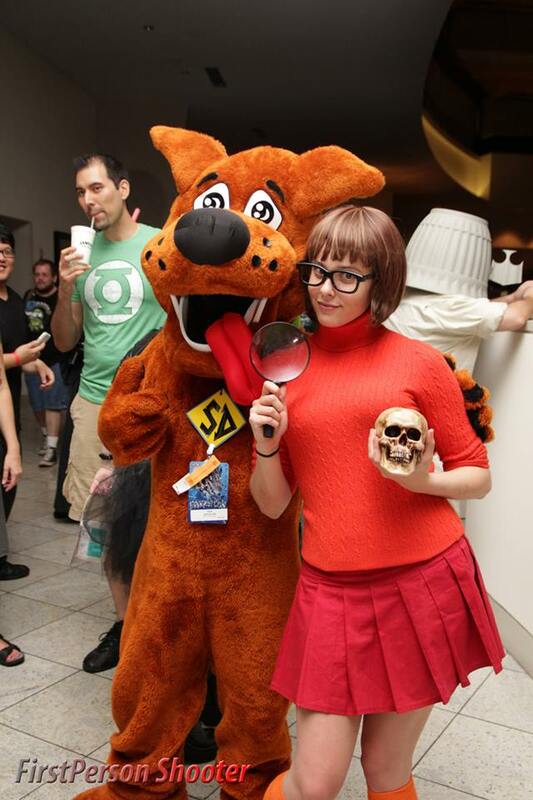 I repeatedly tell cosplayers who think I do something special that I just put their special work in good light. I have a weak sense of compositon compared to really artistic cosplay photographers, and I am fine with that since I approach my photography more from a photojournalism standpoint. Andy: Photographs tell stories at their best, what story would you like to tell, in other words what subject have you not shot yet that you would like to try? FPS: Whatever the story happens to be that is in front of me. Again, we get back to my journalism background — I want to capture the story of the moment, not create a whole new story. Andy: How can cosplayers getin touch with you to schedule a shoot? FPS: I can be reached through my Facebook Fan page at https://www.facebook.com/1stpersonshooter. On Twitter I am at https://twitter.com/burly_adopter. Or find me on Facebook if you are a friend or someone I met at a con. There aren’t a lot of people named Rodney Brown in the world, and I am the fat, bearded, bald one with the camera strap around his neck. Next ArticleMarija’s Anime Fandom Analysis: Does Anime Need To Be Saved?